Plant poisonings are a funny thing. Most people aren’t actively seeking out poisonous plants in which to eat, that would be dumb. Rather they mistake them for something else through an honest mistake, willful ignorance, or just plain foraging hubris. I hate foraging hubris. But I digress. Take the “Death Camas.” I’d like to believe that no sane person would willfully eat something with the name “death” in it, but accidents happen. The Death Camas, of many varieties, used to belong solely to the Zigadenus genus, with about twenty different species. But botanists being botanists decided that wasn’t good enough, and blew the genus up. 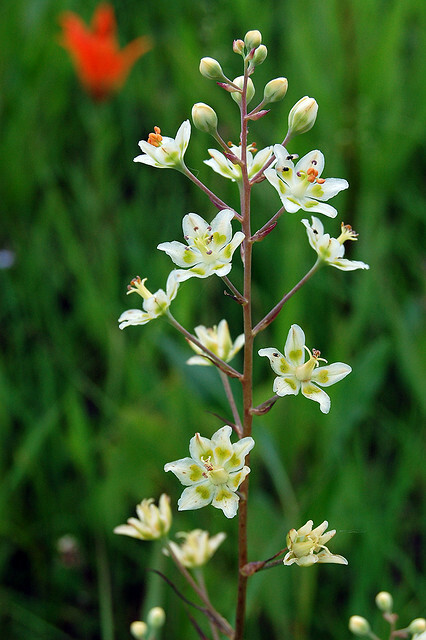 Now, the Death Camas’ are spread among the Anticlea, Stenanthium, and Toxicoscordion genus, with just one species, Zigadenus glaberrimus, left in the original. I find this all so confusing, which is probably the number one reason why I’m not a botanist. But it also makes the literature confusing when the old an new taxonomies collide. So to keep things clear, but draw the ire of botanists the world over, I’ll just refer to them all as Zigadenus. Most reported poisonings occur with livestock, which is to be expected of grazing animals, but human poisonings are not exactly rare either. In the western United States, the Lewis and Clark expedition encountered a poisonous bulb that may have been Zigadenus, and in a turn-of the-tables, early Mormon settlers in Utah were poisoned by Native Americans selling the plants as food (1). The knowledge of properly identifying Zigadenus though has not been passed down to all Native Americans, however. In 1994 a 50-year old Navajo man dug up and ate what he thought were wild onions while hiking with his daughters. An hour after ingestion he experienced ataxia (a loss of voluntary muscle movement and uncoordination), nausea, and vomiting. On admittance to the emergency department his blood pressure was a low, 80/50 mmHg, and he was given IV fluids and his cardiac functions monitored. His family retrieved the “wild onions”, which were later confirmed to be Zigadenus. Generally, those that are poisoned receive standard supportive care, and recover after a few days, like our gentleman here (2). While there is no traditional “antidote” for zygacine poisoning, one reported case study successfully treated the resulting bradycardia (heart rate <60 beats per minute) with atropine, and hypotension (low blood pressure) with dopamine (3). The use of atropine in this case is interesting, because while also increasing resting heart rate, it is an anticholinergic drug, much like scopalamine that you’ve read about here and here. As such it counters the dreaded and messy SLUDGE, and while not typically used in such a manner, may help resolve some of the poisoning symptoms. Other “traditional” treatments for poisoning are discouraged, such as gastric lavage, which is a dying breed these days anyways, and activated charcoal due to risk of aspiration in a vomiting individual (3). So be careful, as deaths have occurred, and like always, never eat anything unless you are 100% certain of what it is. Especially if it’s called “death” anything. And if you do know of something that we eat that has “death” in it, leave a comment! 1. Wagstaff, D. Jesse, and Arthur A. Case. “Human Poisoning by Zigadenus.” Clinical Toxicology 25.4 (1987): 361-67. 2. Heilpern, Katherine L. “Zigadenus Poisoning.” Annals of Emergency Medicine25.2 (1995): 259-62. 3. West, Patrick, and B. Zane Horowitz. 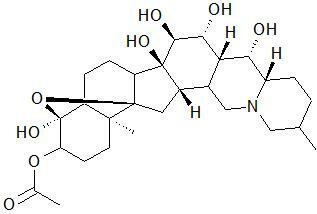 “Zigadenus Poisoning Treated with Atropine and Dopamine.” Journal of Medical Toxicology 5.4 (2009): 214-17. Tags: death camas, neurotoxin, poison, SLUDGE, zigadenus. Bookmark the permalink. Arn’t camas bulbs a traditional food of the Northwest Indians? In fact there is a city in Washington named Camas after the abundance of the plants in that location. Correct. The “common” camas belong to a different family, and look very similar to the “death” camas, which contributes again to mistaken identity. And yes, Camas, WA is just across the Columbia River from Portland (I’m from WA, myself). also, I’ve read that all alliums have an onion smell. So, if it smells like onions or garlic, it’s supposed to be safe to eat. I’m definitely not a forager, nor even pretend to be one, so I really don’t know about “if it smells like an onion it’s safe to eat.” I did read that at least one Death Camas (from a case study) does not taste a lot like onion, which is supposed to be another clue, but I don’t know if that’s true of all 20+ species of such. Sorry. The catch with “if it smells like an onion it is safe” is that after gathering a few wild onions, your hands smell like onion and could mask the non-smell of death camas leaves. There’s “Death by Chocolate” desserts of multiple varieties. Also, there’s “Ultra Death” hot chili sauce. But I might pass on that. Craterellus cornucopioides is a delicious edible mushroom that we call “Totentrompete” in German which translates into ‘dead man’s trumpet’. The French even call it ‘trompette de la mort’ – et voilà, here is something with ‘death’ in its name that you can enjoy more than once. Sorry, Jeff, but I’m neither a taxonomist nor a botanist, and definitely NOT the right person to definitively tell you the difference between the two. I know my limitations, and pushing myself beyond them could get people hurt. What I hope is that someone, perhaps you, will now know that there are some dangerous camas out there, and to seek help from an expert in identifying them. Thanks for reading! Well, Solanum nigrum (in the broad sense) is often called “deadly nightshade” despite the fact that it is among the most commonly eaten plants in the world. It is the most eaten leafy green in much of the tropics, but American “authorities” claim that it is highly poisonous. But that’s “deadly” and not “death”. But never ever eat the berries – they will kill you! I have tasted deadly nightshade berries; they are slightly bitter but I did not notice any ill effects. I was careful to not bite into the seeds…. The above refers to Solanum nigrum; I think that there is a different plant (Atropa belladonna) that can also go by the common name deadly nightshade. That plant I definitely would not taste — good reason not to use a plant’s common name! No, Robert Willoughby, you are exceptionally wrong. The berries are delicious, eaten by about a billion people regularly, including my family and that of many of my friends and relatives. This is among the first berry I taught my children to pick and eat in the garden and yard, and they love it. I eat them perhaps 60 times per year. I grow them i the garden. You can buy several cultivars in seed catalogs (but they don’t use the name “Solanum nigrum” or “black nightshade” in order to avoid exactly this sort of endless interaction with people who believe the ever-pervasive myth of their toxicity. Solanum nigrum is NOT “deadly nightshade”. Solanum nigrum is “black nightshade”. Atropa belladonna is “deadly nightshade” – and it is highly toxic. I don’t know to what American “authorities” you refer. But any that claim “deadly nightshade” is highly poisonous are accurate and helpful. You seem to be a cavalier caviler. And your nonchalant attitude about a highly poisonous plant is not useful. Your “broad sense” and claims of “often” use as attributed to popular name, could result in a “deadly” experience for someone who reads your post. It is incumbent upon botanists and people sharing information in and around dangerous plants to be careful when using the popular names for plants! This is not the forum for being careless, vague, ambiguous, or nonchalant. I do not, other than what you could fund online too. When in doubt, don’t eat them, or find a local expert that can help you. Another misnamed edible plant is poison sanicle (Sanicula bipinnata). I have no idea how this plant got this common name. (Actually, I do have a hunch. There is a well-known edible sanicle that also grows in California, and this is not it. There is a phenomenon I call ” distinction assumption” in foraging–that is, whenever you are told how to to distinguish one plant from another, there is likely to be an assumption that the OTHER must be poisonous.) Actually, “poison sanicle” is documented as an edible green eaten by California natives, and I can find no evidence of any member of this genus being documented or even suspected in human poisoning. In fact, there are other members of the genus used traditionally for food in Asia and Europe as well. I ate 12 bulbs of it on a “survival” trip when I was 12 years old. I had to be rushed home, but by the time I got home the Doctor told my Mother there was nothing they could do for me. I had ingested so much poison, and too much time had gone by to treat me. He told my mom that a hospital stay would just incur a large medical bill and that there would be nothing they could do when I slowly slipped away that night. So she was advised to just keep me home. My heart rate dropped to 20 beats per minute and my breathing slowed considerably. I remember at one point in the night I had to physically force myself to breath because my body simply wouldn’t do it on its own. Perhaps my description isn’t exactly the way a doctor would describe it, but that’s how I, who went through it describe. it. Anyway… the next day I was fine. However; I have suffered sever migraine headaches and suffered from other breathing related illnesses multiple times in my life since that time. Prior to that date, I never had any of those ailments. That’s incredible. Thank you for sharing, and I’m glad you’re (mostly) alright and recovered. In a bid to learn more about “death camass”, Google led me to this wonderful blog! Commenting very late here, but… in response to your invitation to name something edible with “death” in the name: Craterellus cornucupoides, the black trumpet or trumpet of death, a really beautiful and delicious forest mushroom. Wow, thanks! And from what I’ve just read, really hard to find, too. Thanks for reading and for proving me wrong!